To all TP Friends who've been emailing me and sending me inquiries with regard to the availability of the single-SIM version of the best-selling Nokia C2-00 in the Philippines, I bring great news! I called one of my favorite Nokia authorized retail outlets in SM San Lazaro yesterday afternoon and asked if they already have Nokia C1-01 -- and it turns out they do. The phone is priced at Php 2,300 in that specific store but I bet you can get it for less if you're good at bargaining. So what are you waiting for? Check out the phone now! Oh, and to those who are asking, "Why buy Nokia when I can get a chinaphone with more features for the same amount?" Here's my take on it: Every Nokia phone undergoes extensive testing (durability, battery life, etc.) 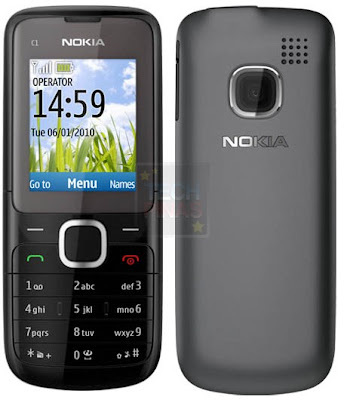 before being released in the market; Every Nokia phone is product of research and careful planning. Also, with Nokia, you have peace of mind in the knowledge that after-sales support will always be there should you need it. And finally, of course, Nokia is Nokia; You can't go wrong with a company that has created billions of phones that have touched the lives of people the all around the world.